Colored crew socks are a great seller at Knees N Toes, no matter what brand, style or color There's truly an eye-catching selection here-lots of brightly colored socks to suit discerning Manhattan moms. School uniform socks are a must-have for boys and girls. Flat knit or ribbed etc. 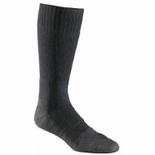 We carry socks from Jefferies, condor, Trimfit, Fidenzze, Levante, Memoi, Burlington, gold Toe and more. Gold toe athletic socks are great cotton socks for men, Healthy Walk Anti fungal as well, try them. It completes the silhouette from head to toe, It all flows. You really are painting a picture with every article of clothing. These childrens socks are well made, and very stylish. You can find lots of styles in countless fun-colors and sizes.